I start with the confession that this gutsy story is not really mine. But, since convention has it that marital (should that be martial?) goods are shared, I’m taking it upon myself to write this. I was taken ill in about 2008, and my beautiful wife became my caretaker and my rock. 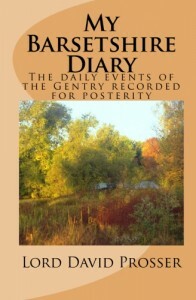 In 2010, to please her, I started writing a chapter a night of a book, My Barsetshire Diary, which a friend insisted should be published. It was, with the following results: The cat, who made the odd appearance, got his own blog, and I started writing two further books, which kept Julia entertained and the cat in food. In July 2011 Julia felt a tenderness in her stomach. We arranged a doctor’s appointment just before her father died. My wife was distraught when she went for tests the next week, then saw the doctor the day after her father’s funeral. From the little said at the hospital we anticipated bad news–but even so, the diagnosis of cancer hit hard. An oncologist told us Julia had pancreatic cancer and that it was inoperable because it had grown around some major arteries. She was stoic about it, but even so you could see when the pain was bad and the drugs weren’t helping. We were given a prognosis of six to nine months, and I won’t try and describe how Julia, I or our daughter felt, as none of us could talk. One bright spot emerged when an eminent surgeon at another hospital offered to perform a radical procedure to cut the nerves where the growth was sited in order to kill the pain. Brilliant, except it almost killed her. She was placed on an open ward to recover and was discharged the next day with a raging temperature and ill from every orifice. We all recovered. In 2012 the pain started to reappear as the thing grew. 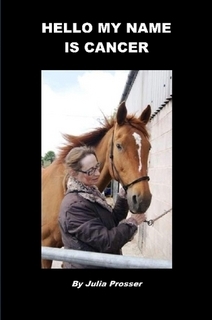 Julia focused on raising money to build riding facilities for the disabled at a local stable. 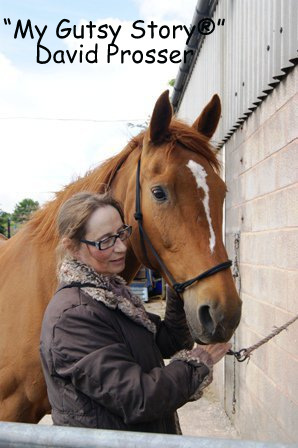 A keen horsewoman despite her arthritis, she knew the benefits of horse-related therapy and believed that having a stable in our area was important. I was happy to help. After a suggestion from me, Julia decided to try and write a book about cancer and how it did not define her as a person now. She called it Hello, My Name is Cancer. She self-published it through Lulu.com, and it’s available on Amazon sites. In September we celebrated our daughter Yvonne’s wedding, brought forward for Julia’s sake–though that was hotly denied. In December we celebrated Christmas with Yvonne (hereinafter known as the party of the third part because despite what she says I’m sure she likes to party) and her new husband, Ugo. They presented us with a small box. When I opened it, I unfolded a tiny bib with the words “I love my Nanna and Pops.” I know the room was hot because my eyeballs sweated just then as I asked, “Honestly?” They confirmed that the baby is due in August, thus giving us a new target to aim for. In January we celebrated the fact that we’d gone beyond the original prognosis and the pain was back under control with morphine (which apparently doesn’t qualify under the 50% each agreement- typical.). And Julia did a little riding, even winning a small dressage competition. Since she came home we’ve visited our favorite cafes to say her goodbyes in case something happens. There have been some tears, usually mine, because I’m really going to miss those places. One team brought Julia a wonderful bouquet of flowers and two plates of their special spaghetti Bolognese that she loves. Another is raffling off a giant teddy bear to help raise money toward the stable. We even managed to visit the stable last week; building is under way and will be finished in about two weeks. Now we need to raise money for a scissor lift or hoist to get the riders up to the right level. This week Julia went riding herself, putting an amazingly brave face on things. She even decided to enter another competition in two weeks’ time. David Prosser Bio: A retired ex Local Government Officer with a horse mad wife, a sadistic cat who acts as my alarm clock at the time he wants me to get up, and a daughter who must be wonderful because she thinks her dad is. I live in a small village in North Wales and became an author almost by accident when a friend liked a day’s diary I sent her in answer to a ‘How was your day”? query. Needless to say the day was a fiction from start to finish. 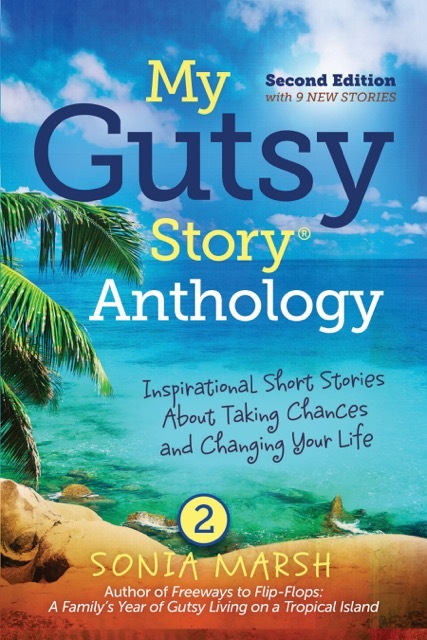 Please VOTE for your favorite March “My Gutsy Story®” Scroll Down on Sidebar (right underneath the Anthology Book Cover) to Vote. Only ONE vote each. David, What a beautiful wife Julia was, and she touched all the hearts of those who knew her. I am grateful you agreed to share her story with us, and we wish you and Yvonne all our love during this difficult and sad time. Dear Sonya and all your readers. Thank you for allowing me to share Julia’s story. She was an exceptional person who spent much time thinking of others and of animals. I was the very privileged person allowed to spend my time with her and I loved every minute of it knowing she was my friend as well as my wife. Yvonne and I will miss her very much and I hope that people reading this will understand why. Our prayers continue for you all, David. I wish we could have met Julia in person, but her spirit resounds in your stories and in this journey. Thanks so much Normandie. I know Julia would love to have met the special people who used to follow her story and write such wonderful things. She was always amazed by people’s capacity for kindness towards her.Of course I always had to keep out of harms way until she approved what I’d written about her or I may have needed more than just my crutches. She was a gentle soul really who only wished good things for people. David Prosser recently posted..The Last Journey. I am very sorry for the loss of your dear wife. I feel like I’ve met Julia through your lovely tribute and am touched by her courage to live life to the fullest. Thank you for sharing Julia with us. you are keeping her spirit alive through your writing. My thoughts and prayers are with you and Yvonne as you face this difficult time. Thank you Kathleen. I’m happy to have shared Julia with everyone because while she concentrated on you she wasn’t beating me up or setting the cat on me. She did have a great deal of courage to face life as well as death and though I’m devastated at losing her, I’m so happy to have known her. David … a lovely tribute to a very gutsy person. 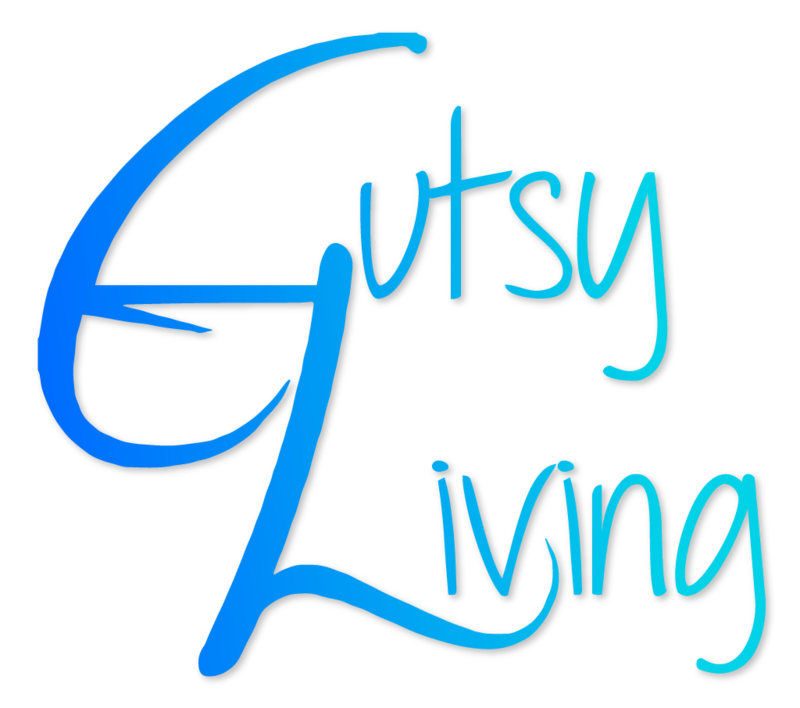 This makes so many of our (well, mine, anyway) gutsy stories seem a bit trivial. Thank you for sharing this. ” What’s special about me”? I can’t deny that she was gutsy and much braver than I could have been but others have their story to tell of immense courage too. I should say “Thank you for letting me share this story” and thank you for taking the time to comment. People are so kind. Sorry for your loss. Your wife was an amazing person. What a moving story about a truly gutsy woman and her gutsy man, you. This bittersweet account of Julia’s struggle with cancer is all the more compelling because of the way you bring her to life as a person dealing with her killer. Your writing may help see you through these sad days. Thank you so much Penelope. I’m so glad you liked my tribute to my bet friend and wife. It would be wonderful to think that maybe she can be kept alive by my writing but I doubt I have the skills for that. At least I’ve been able to share her story of how she handled life during this illness and maybe inspire someone else. I love this tribute, full of passion and yet so quirky, which totally brings Julia to life for us – thanks for sharing her story (and yours), David. That’s lovely Belinda, thank you. Some people thought me unfeeling or irreverent for using humour in the stories about Julia but I tried to convey that she kept her humour throughout.Thanks for sharing the story with us. On behalf of Wrexham Group RDA, based at Clwyd Special Riding Centre, Llanfynydd, can I say how very sorry we all are to hear your sad news. We are so pleased that Julia was able to enjoy her riding with our RDA group and hope it helped to bring her some respite for a while. We will remember Julia fondly, and will hold especially dear the memory of the dressage win last year. We will miss Julia’s humour and strength of character. Thinking of you all at this desperately sad time. Thanks so much Di. I must point out that Ju’s life would have been so much less without you and the centre. She always came away uplifted from riding and from sharing a laugh or smile with her friends. Even sitting on the sidelines I could see how caring everyone was and I know how much you all helped her. I’m truly grateful. I surely wish I could’ve met Julia in person, but I’ve been following David’s blog for some time and am happy that I at least knew her through his words. Brave in the face of adversity, she was a strong and beautiful woman who will be forever missed. My thoughts are with her family. That’s beautiful Kimberly. She was brave, she was beautiful and she lightened my life every day. I’m so glad you were able to share the journey with us and admit you and my other friends have been a great source of support for me. An inspirational story of steadfast determination to carry on. I am so sorry for your loss, David. Thanks so much Shawn. You have it right- steadfast determination to carry on and she did wonderfully well. The time came to let go and she was tired but even then she made sure we each had support before letting go.I love her. Dear David, I knew Lady J was brave and incredibly strong but I did not realise her true measure until I read this. More than anything else I wish I could have known her, called her ‘friend’. Andrea Flory recently posted..Gargoyles, septic tanks and Awards! Julia would have loved you and your humour Andrea. I’m so grateful for the support you’ve given me after reading each episode of the story. You are truly a friend. 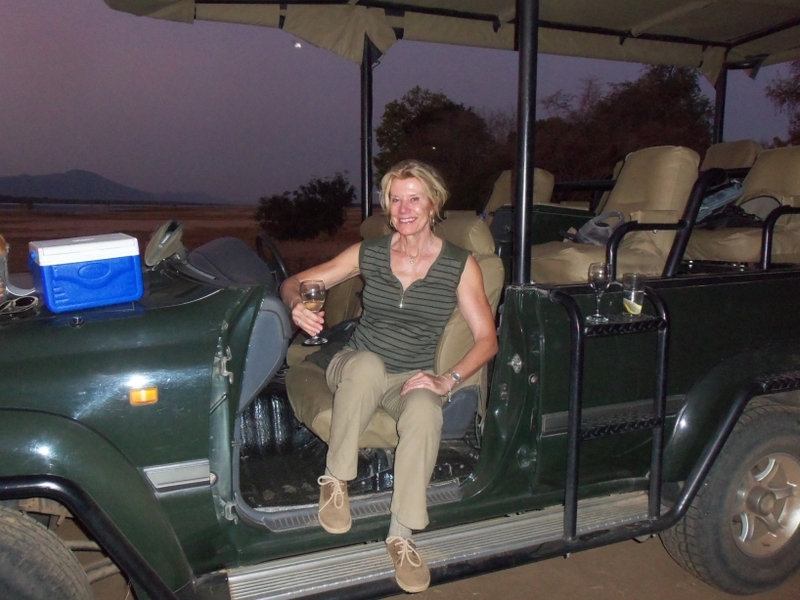 We have lost a great lady; Julia was, and in my heart always will be, the soul of courage and grace under adversity. I am honored to have known her and my admiration for her great spirit will always stay with me. Rest in peace, dear Julia. I know you believed you would be joining your beloved parents when you pass, and somehow, I am convinced that you have, and of course, that there are horses in Heaven waiting for you. Thanks so much Ilil. I too am sure Julia has found her parents and a field of horses waiting to be ridden. She deserves it.I could’t have gone on writing about her without the support I’ve received and the encouragement. 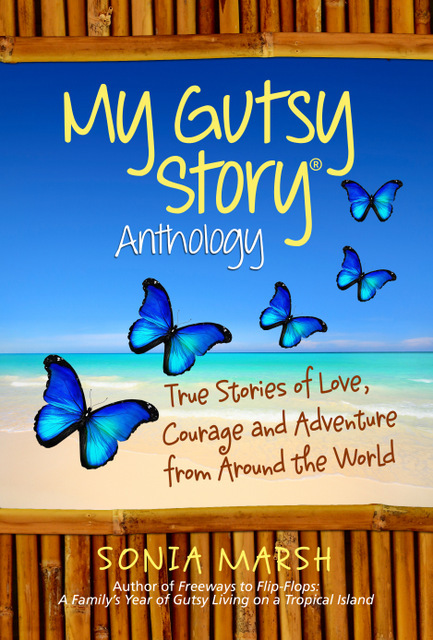 Her story needed to be told to inspire others not to give up. What a moving story. So sorry for your loss. Thank you so much Fi. I’m glad Ju’s story was so well received. As a lengthy follower of Lord David’s blog, Lady Ju has lived and breathed through the words of her most devoted follower, her husband. Their loving bond touched the lives of people all over the world. She will continue to live through his blog entries and memories, and, I hope, books to come. You’re an Angel Lorene. First of all for your courage in following my writing and second for the wonderful comments you make. I’m so happy Ju’s story has touched so many lives. I wish to thank all of you who have been so kind to leave comments for David Prosser. I am sure he is reading them and is feeling the kindness from all of you. 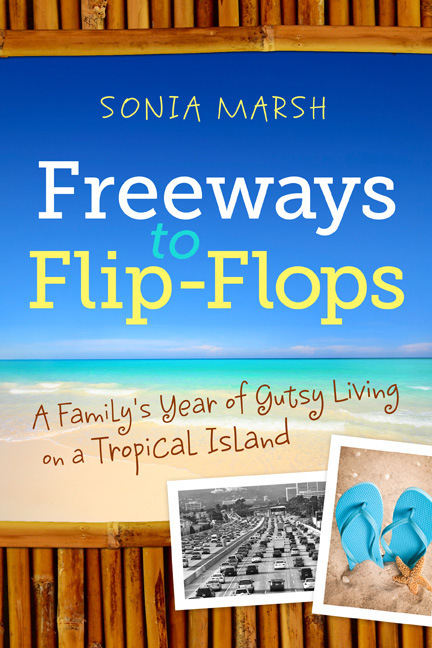 Sonia Marsh recently posted..Should Authors Respond To Amazon Reviewers? Thank you Sonia, I’m so grateful for all the comments and the recognition of how brave and determined Julia was. Maybe someone somewhere will be inspired not to give up and that would make Julia very happy. I grieve with David and his beautiful family during this incredibly sad time, and pray they find solace in the wonderful love and lessons Ju’s bravery taught us all. David exemplified courage as well throughout these many months, with his dry wit and self-deprecating sense of humor. I look forward to reading many more blog entries and books from him in the future. I think Julia would like to know he’s continued on. Thanks so much Jolyse. I confess that the only way I’ve ben able to carry on so long is because I’ve had such wonderful support from you all. People have written comments after he blogs and encouraged me to keep going as well as Julia and the strength I gained I was able to share. We went past the original prognosis of 6 – 9 months easily and I’m sure it was the power of so many minds willing her on that allowed it.Be assured I will be there for anyone in the same position since you’ve taught me so much. My sympathy, David. To me what is so gutsy about this story, is that through everything, you and Julia lived her whole life fully. That is real and brave and an incredible example to everyone. Thank you for sharing. Just wanted you to know that all of us with Wrexham Group RDA are thinking of you and your family today and are remembering Julia fondly. Our thoughts are with you as you reach the first anniversary of losing Julia, a very special and determined lady. Kindest regards.